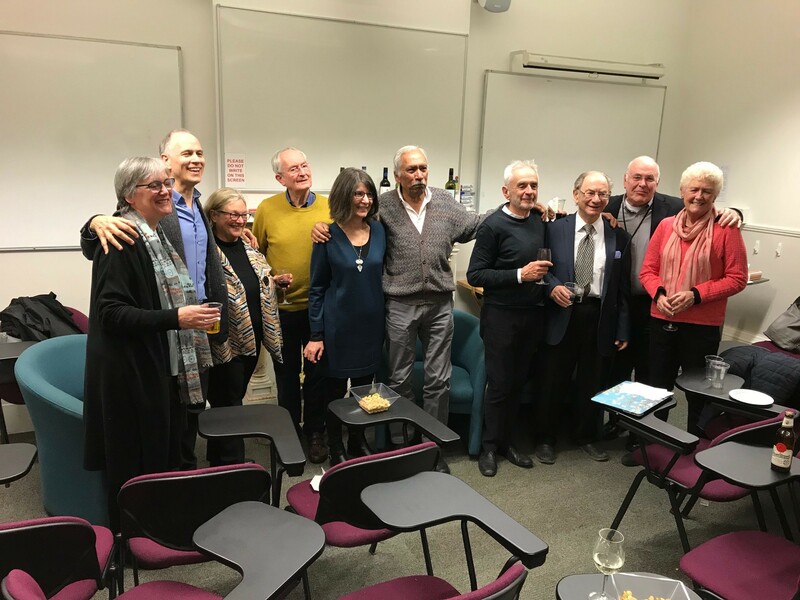 Members of DPU-Associates at event hosted by the DPU on 21 March 2018 to launch, ‘Housing in Developing Cities: Experience & Lessons’ by Patrick Wakely. Babar Mumtaz; Robert Biel (DPU staff); Michael Safier; Harry Dimitriou; Caroline Moser. Universally, the production, maintenance and management of housing have been, and continue to be, market-based activities. Nevertheless, since the mid-twentieth century virtually all governments, socialist and liberal alike, have perceived the need to intervene in urban housing markets in support of low-income households who are denied access to established (private sector) housing markets by their lack of financial resources. Housing in Developing Cities examines the range of strategic policy alternatives that have been employed by state housing agencies to this end. They range from public sector entry into the urban housing market through the direct construction of (‘conventional’) public housing that is let or transferred to low-income beneficiaries at sub-market rates, to the provision of financial supports (subsidies) and non-financial incentives to private sector producers and consumers of urban housing, and to the administration of (‘non-conventional’) programmes of social, technical and legislative supports that enable the production, maintenance and management of socially acceptable housing at prices and costs that are affordable to low-income urban households and communities. It concludes with a brief review of the direction that public housing policies have been taking at the start of the twenty first century and reflects on “where next”, making a distinction between ‘public housing’ and ‘social housing’ strategies and how they can be combined in a ‘partnership’ paradigm for the twenty first century. Informal sub-division, sale, and development of vacant land; Invasions and squatting; Incremental development of informal settlements; Benefits and costs of informal urban housing processes. Conventional public housing in the public works tradition; Slum clearance; Organised (aided) self-help. Participation; Devolution; Enabling supports; Sites and services and informal settlement upgrading; Limits of the self-help and participation paradigm. The Sri Lanka Million Houses Programme (MHP); Rio de Janeiro Favela Bairro Programme, Brazil; Oshakati Human Settlements Improvement programme, Namibia; Lessons from the case studies. City development strategies; Housing-need sub-group; Cultural integration and cosmopolitan development; Gender needs and assets; Climate change and geophysical hazards; Energy conservation and environmental sustainability. The case for incremental housing strategies; Rental housing. 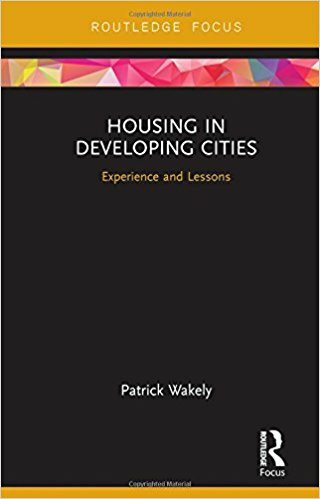 "Wakely uses his unique understanding and vast experience to bring clear and practical solutions to the vexed challenge of housing in developing countries. Whereas most written policies typically benefit a small minority – the middle class and civil servants – Wakely’s approaches empowers the urban poor, both as users and producers of housing. This should be required reading for practitioners and policy makers alike." William Cobbett, Director, Cities Alliance, Brussels. "Patrick Wakely’s new book is nothing short of the book that we all need in order to understand both how the huge growth in cities in the developing world is being managed, and how communities on extremely low incomes are getting by; providing their own housing with some public support and progressing their life chances. It is an invaluable guide to both the experience of housing in developing cities and the importance of recognising the potential of informal and semi-formal urban development, combined with a guiding public hand. I hope this book will help many people understand this dynamic process, as it will certainly help me." Head, LSE Housing and Communities, London School of Economics and Political Science, London. "This book is an excellent synopsis of fifty year's of practice in the provision of housing in developing countries. Patrick Wakely brings wide and thoughtful experience to this subject. The book focuses on 'the how' housing has actually been created and for whom. It is a needed counterpoint to the declaration of global goals which focus on the 'what'." Michael Cohen, Professor of International Affairs, The New School, New York (Formerly: Senior Economist, World Bank, Urban Development Department, Washington DC).